A sign is causing a stir in the Southwest suburbs. The sign can be seen outside a Lockport pawn shop. 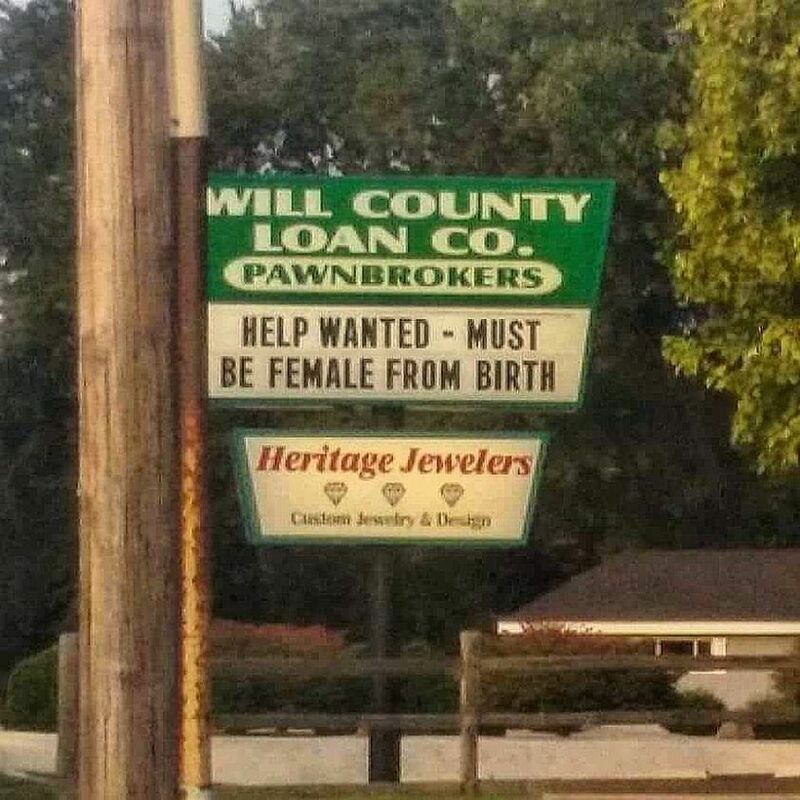 The sign reads; "Help Wanted -- Must be female from birth." Some call it a slur against transgender Americans, but the man responsible says there's a much less dramatic explanation. He wants people to know two things: He's not hiring, and he's not serious. “The sign is, no question, satire..people are just too serious...everybody’s becoming offended in this country today..I mean, the place has gone crazy," said Richard Tisch, owner of Will County' Loan Company. Tisch insists he's not anti-trans or anti-anyone, except for people who can't take a joke. Tisch has put up brow raising signs in the past that say things like "Become a liberal..remove half your brain..." or "Hillary’s health plan..free condoms for wild Bill." for the president’s controversial ban on transgender service-members in the military. That’s not to say there isn’t a grain of truth in the message from this 71-year old retired marine. Tisch, who served two tours in Vietnam, still pines for his beloved and underfunded corps and believes there are better uses for his tax dollars than gender-reassignment surgery. “I don’t care what anybody does in their private life..just don’t ask me to pay for it," he said. Americans shouldn't cater to minority whiners. The rights of the majority of Americans are being stripped by fringe elements in this country who should be treated as if they're mentally ill.